By Aswin V. Kumar, OMS3 and Sue C. Kaste, D.O. The manifestations of late effects are wide ranging and involve all organ systems, with differential presentation largely dependent on both the primary malignancy and the treatment received. 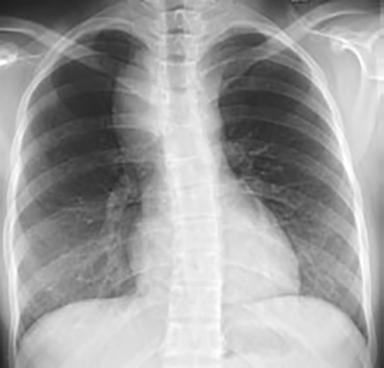 Some of the most common late effects observed in childhood cancer survivors are pulmonary and cardiac complications, with skeletal complications and secondary malignancies being less common.4 The increased survivorship and incidence of morbidity amongst those treated for childhood malignancies necessitates increased vigilance on the part of the adult survivors' health-care providers to both detect and treat the anticipatory late effects in this population. The manifestations of tissue injury from therapy administered during childhood may not become apparent until the patient enters a phase of rapid growth, such as adolescence. At such times, the treatment insult on normal tissues may result in impaired growth.5 Diagnostic imaging can provide a robust means through which many late effects can be detected. 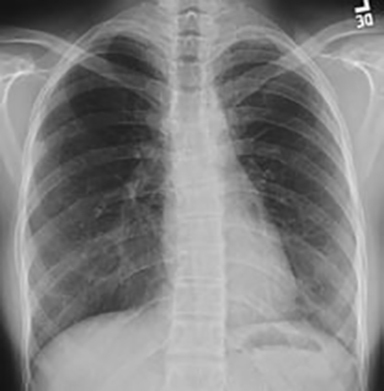 The aim of this article is to provide an overview of selected radiographic manifestations of thoracic findings that may be associated with previous treatment for pediatric cancers and their late effects by providing an image-based approach to identifying unique radiographic characteristics that may be seen on chest radiographs obtained for reasons unrelated to a history of previous childhood cancer. The risk factors for and prevalence of tumor recurrence and secondary malignant neoplasms are well-described in the literature and will not be included in this pictorial review. 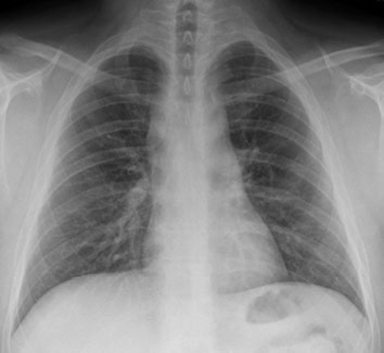 The lungs are one of the most radiation-and chemo-sensitive organs in the body.14 Functional compromise arising from radiation is compounded by chemotherapy-induced toxicities, all of which may progress from initial injury to the pulmonary interstitium to pulmonary fibrosis over time.14 Pulmonary complications after therapy for childhood cancer include pulmonary fibrosis (Fig. 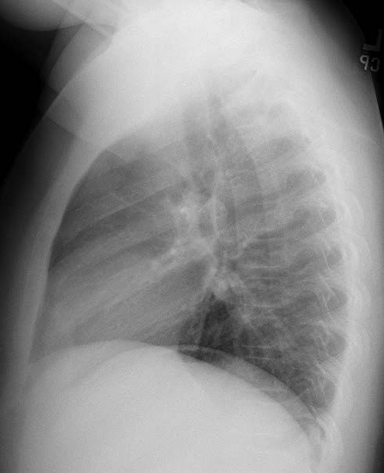 4), chronic cough, recurrent pneumonia, requirement for supplemental oxygen, and pleurisy. Mertens, et al. reporting on the prevalence of self-reported pulmonary complications from the Childhood Cancer Survivor Study, found that chest radiation was statistically associated with all of these adverse late effects, as were various chemotherapeutic agents.14 Chemotherapeutic agents associated with development of pulmonary insufficiency include busulfan, carmustine14,15 , cyclophosphamide, lomustine, and bleomycin.15 At 20 years from diagnosis of the primary malignancy, a 3.5% cumulative incidence of pulmonary fibrosis was associated with chest radiation14, due to injury to type II pneumocytes and endothelial cells.5,16 Chronic pulmonary impairment results from compromise of alveolar growth and generation of new alveoli.5 Radiographic findings of fibrosis include pleural thickening, regional or focal pulmonary contraction, linear scarring, and streaking that may extend beyond the distribution of radiation portals. It is important to recognize the association of breast cancer arising as a result of irradiation that included breast tissue.35 After chest irradiation, the standardized incidence ratio for developing secondary breast cancer was 24.7 (95%CI 18.3-31.0), as opposed to 4.8 (95%CI 2.9 -7.4) for those who received no chest irradiation.35 Thus, education of these patients regarding health risks associated with chest irradiation should be prompted by recognition of this finding upon verification of prior therapy. The prevalence of osteochondromas is approximately 3% in the general population with the majority presenting as solitary osteochondromas unless in the setting of hereditary multiple exostosis.52 Among survivors of HSCT, approximately 1% develop osteochondromas. Unlike the general population, only a slight majority of long-term survivors of HSCT develop solitary osteochondromas.49,51 In pediatric patients who undergo irradiation, damage to the epiphyseal plate causes a portion of the epiphyseal cartilage to migrate to the metaphyseal regions causing the formation of osteochondromas. The rapidly growing population of survivors of childhood cancer underscores the need for recognizing potential sequelae of both the primary disease and associated therapies, to include knowledge of risk factors for complications. While numerous reports are available regarding second malignant neoplasms in this population, only in the more recent past have investigations and understanding of adverse toxicities manifesting after completion of therapy been undertaken. It is with the hope of enhancing care of survivors of childhood cancer that this review of the more common chest manifestations has been developed. Though not meant to be all-inclusive, this work serves as a starting point to enhance the acumen of imaging healthcare providers, and thus, improve the care of these patients. The authors would like to thank Ms. Sandra Gaither for manuscript preparation. Supported in part by grant P30 CA-21765 from the National Institutes of Health, a Center of Excellence grant from the State of Tennessee, the Le Bonheur Foundation (Memphis TN), and the American Lebanese Syrian Associated Charities (ALSAC). Armenian SH, Landier W, Hudson MM, et al. Children's Oncology Group's 2013 blueprint for research. survivorship and outcomes. Pediatr Clood Cancer 2013;60:1063-1068. Mariotto AC, Rowland JH, Yabroff KR, et al. Long-term survivors of childhood cancers in the United States. Cancer Epidemiol Biomarkers Prev 2009;18:1033-1040. Oeffinger KC, Mertens AC, Sklar CA, et al. Chronic health conditions in adult survivors of childhood cancer. N Engl J Med 2006;355:1572-1582. Hudson MM, Ness KK, Gurney JG, et al. Clinical ascertainment of health outcomes among adults treated for childhood cancer. JAMA 2013;309:2371-2381. Friedman DL, Constine LS, Halperin EC, et al. Late Effects of Cancer Treatment. In. Pediatric Radiation Oncology. Lippincott Williams & Wilkins 2011. p353-396. Juweid ME. 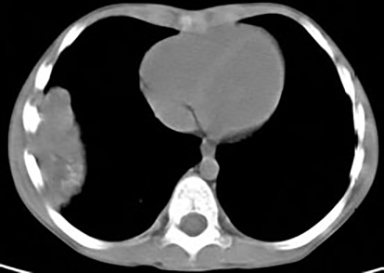 FDG-PET.CT in lymphoma. Methods Mol Biol 2011;727:1-19. Radford JA, Cowan RA, Flanagan M, et al. 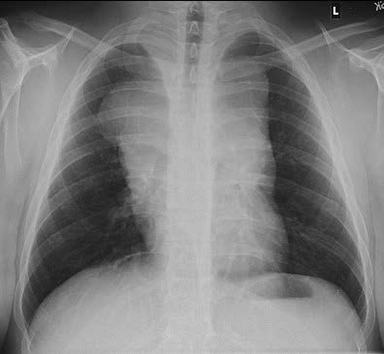 The significance of residual mediastinal abnormality on the chest radiograph following treatment for Hodgkin's disease. J Clin Oncol 1988;6:940-946. Luker GD, Siegel MJ. 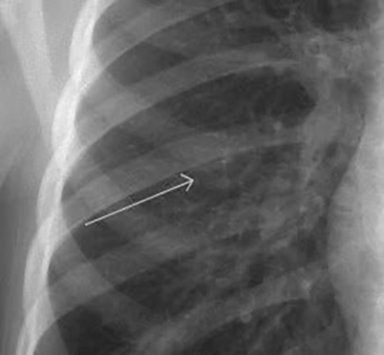 Mediastinal Hodgkin disease in children. response to therapy. Radiology 1993;189:737-740. Crisse H, Pacquement H, Curdairon E, et al. 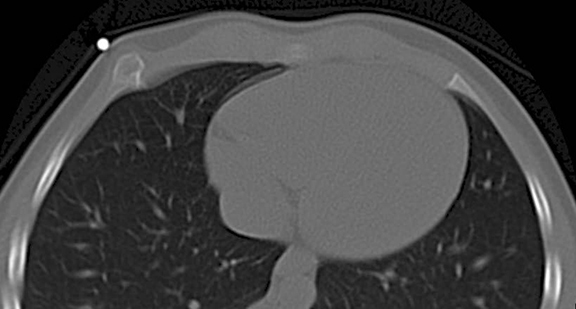 Outcome of residual mediastinal masses of thoracic lymphomas in children. impact on management and radiological follow-up strategy. Pediatr Radiol 1998;28:444-450. Di CE, Cerone G, Enrici RM, et al. 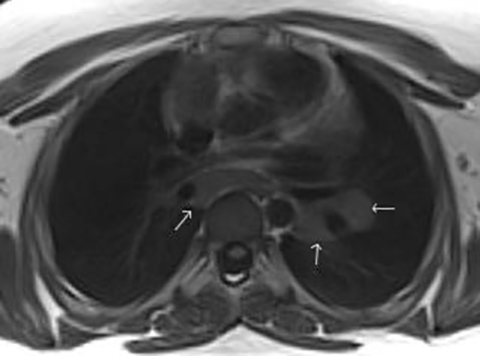 MRI characterization of residual mediastinal masses in Hodgkin's disease. long-term follow-up. Magn Reson Imaging 2004;22:31-38. Rahmouni A, Divine M, Lepage E, et al. 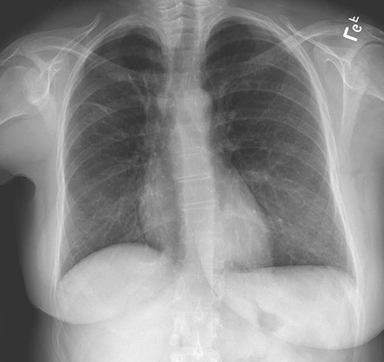 Mediastinal lymphoma. quantitative changes in gadolinium enhancement at MR imaging after treatment. 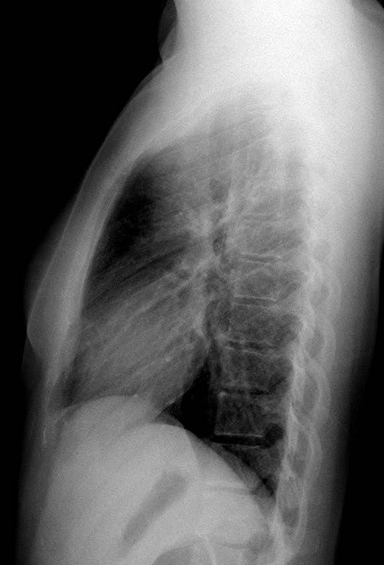 Radiology 2001;219:621-628. Nasr A, Stulberg J, Weitzman S, et al. Assessment of residual posttreatment masses in Hodgkin's disease and the need for biopsy in children. J Pediatr Surg 2006;41:972-974. Connors JM. 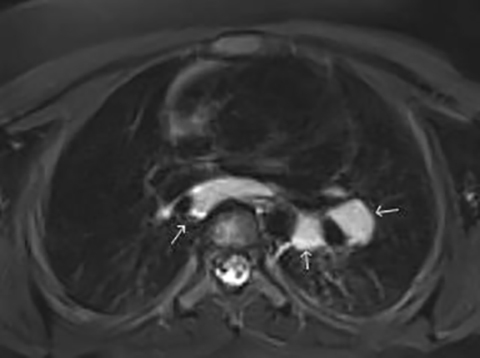 Positron emission tomography in the management of Hodgkin lymphoma. Hematology Am Soc Hematol Educ Program 2011;2011:317-322. Mertens AC, Yasui Y, Liu Y, et al. 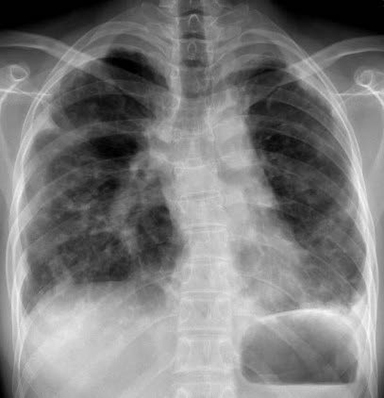 Pulmonary complications in survivors of childhood and adolescent cancer. A report from the Childhood Cancer Survivor Study. Cancer 2002;95:2431-2441. Hudson MM, Mulrooney DA, Cowers DC, et al. High-risk populations identified in Childhood Cancer Survivor Study investigations. implications for risk-based surveillance. J Clin Oncol 2009;27:2405-2414. Rubin P, Cassarett GW. Clinical Radiation Pathology. Philadelphia. W. C. Saunders Co- 1968. Liles A, Clatt J, Morris D, et al. 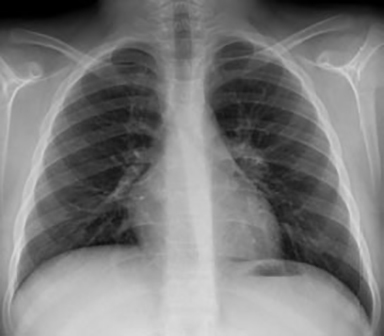 Monitoring pulmonary complications in long-term childhood cancer survivors. guidelines for the primary care physician. Cleve Clin J Med 2008;75:531-539. Motosue MS, Zhu L, Srivastava K, et al. 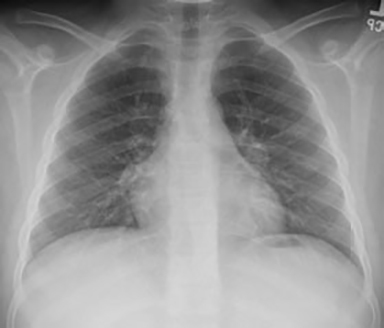 Pulmonary function after whole lung irradiation in pediatric patients with solid malignancies. Cancer 2012;118:1450-1456. Huang TT, Hudson MM, Stokes DC, et al. Pulmonary outcomes in survivors of childhood cancer. a systematic review. 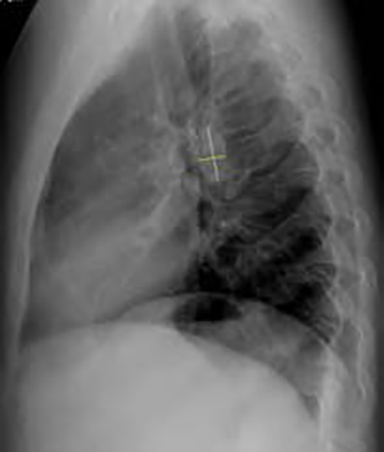 Chest 2011;140:881-901. Nenadov CM, Meresse V, Hartmann O, et al. 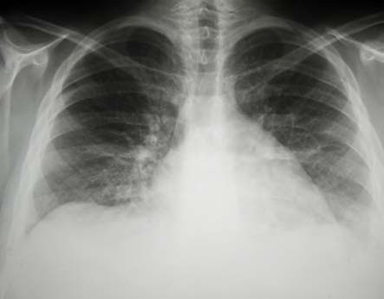 Long-term pulmonary sequelae after autologous bone marrow transplantation in children without total body irradiation. Cone Marrow Transplant 1995;16:771-775. Travis LC, Ng AK, Allan JM, et al. 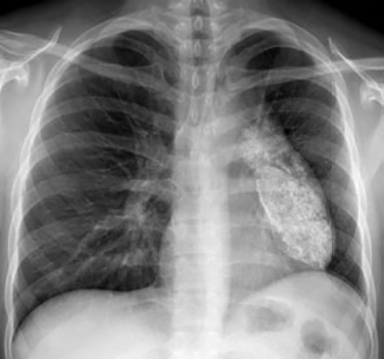 Second malignant neoplasms and cardiovascular disease following radiotherapy. J Natl Cancer Inst 2012;104:357-370. Kurt CA, Armstrong GT, Cash DK, et al. Primary care management of the childhood cancer survivor. J Pediatr 2008;152:458-466. Kremer LC, van Dalen EC, Offringa M, et al. Frequency and risk factors of anthracycline-induced clinical heart failure in children. a systematic review. Ann Oncol 2002;13:503-512. Orgel E, Zung L, Ji L, et al. Early cardiac outcomes following contemporary treatment for childhood acute myeloid leukemia. a North American perspective. Pediatr Blood Cancer 2013;60:1528-1533. Krischer JP, Epstein S, Cuthbertson DD, et al. Clinical cardiotoxicity following anthracycline treatment for childhood cancer. the Pediatric Oncology Group experience. J Clin Oncol 1997;15:1544-1552.
van der Pal HJ, van Dalen EC, van DE, et al. High risk of symptomatic cardiac events in childhood cancer survivors. J Clin Oncol 2012;30:1429-1437. Lipshultz SE. Exposure to anthracyclines during childhood causes cardiac injury. Semin Oncol 2006;33:S8-14. Ylanen K, Poutanen T, Savikurki-Heikkila P, et al. Cardiac magnetic resonance imaging in the evaluation of the late effects of anthracyclines among long-term survivors of childhood cancer. J Am Coll Cardiol 2013;61:1539-1547. Craun-Falco O, Schultze U, Meinhof W, et al. Contact radiotherapy of cutaneous hemangiomas. therapeutic effects and radiation sequelae in 818 patients. Arch Dermatol Res 1975;253:237-247. Kolar J, Cek V, Vrabec R. Hypoplasia of the growing breast after contact-x-ray therapy for cutaneous angiomas. Arch Dermatol 1967;96:427-430. Macklis RM, Oltikar A, Sallan SE. 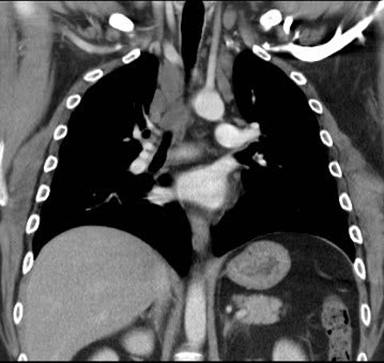 Wilms' tumor patients with pulmonary metastases. Int J Radiat Oncol Biol Phys 1991;21:1187-1193. Pinter AC, Hock A, Kajtar P, et al. Long-term follow-up of cancer in neonates and infants. a national survey of 142 patients. Pediatr Surg Int 2003;19:233-239. Weidman AI, Zimany A, Kopf AW. Underdevelopment of the human breast after radiotherapy. Arch Dermatol 1966;93:708 -710. Furst CJ, Lundell M, Ahlback SO, et al. Breast hypoplasia following irradiation of the female breast in infancy and early childhood. Acta Oncol 1989;28:519-523. Kenney LC, Yasui Y, Inskip PD, et al. Breast cancer after childhood cancer. a report from the Childhood Cancer Survivor Study. Ann Intern Med 2004;141:590-597. Papadakis V, Tan C, Heller G, et al. Growth and final height after treatment for childhood Hodgkin disease. J Pediatr Hematol Oncol 1996;18:272-276.
van Leeuwen CL, Kamps WA, Jansen HW, et al. The effect of chemotherapy on the growing skeleton. Cancer Treat Rev 2000;26:363-376. Probert JC, Parker CR. The effects of radiation therapy on bone growth. Radiology 1975;114:155-162. Dorr W, Kallfels S, Herrmann T. Late bone and soft tissue sequelae of childhood radiotherapy. Relevance of treatment age and radiation dose in 146 children treated between 1970 and 1997. Strahlenther Onkol 2013;189:529-534. Dawson W . Growth impairment following radiotherapy in childhood. Clin Radiol 1968;19:241-256. Mitchell MJ, Logan PM. Radiation-induced changes in bone. 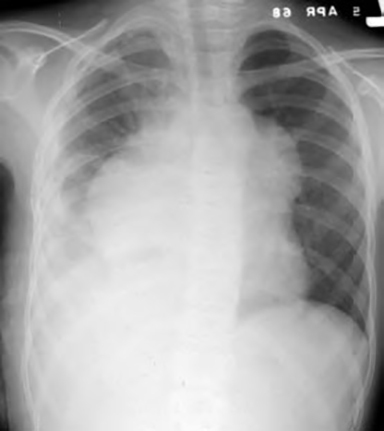 Radiographics 1998;18:1125-1136. Neuhauser E , Wittenborg MH, Berman Z, et al. 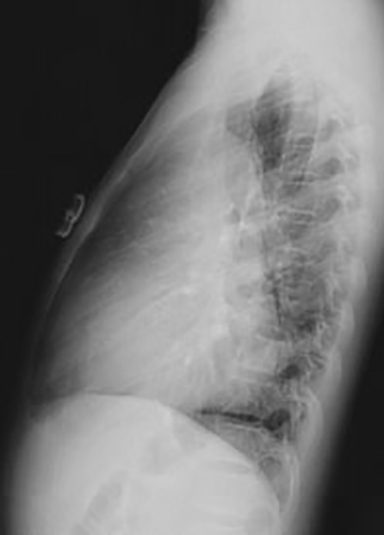 Irradiation effects of roentgen therapy on the growing spine. Radiology 1952;59:637-650. Parker RG, Berry H . Late effects of therapeutic irradiation on the skeleton and bone marrow. Cancer 1976;37:1162-1171. Makipernaa A, Heikkila JT, Merikanto J, et al. Spinal deformity induced by radiotherapy for solid tumours in childhood: A long-term follow up study. Eur J Pediatr 1993;152:197-200. DeRosa GP. 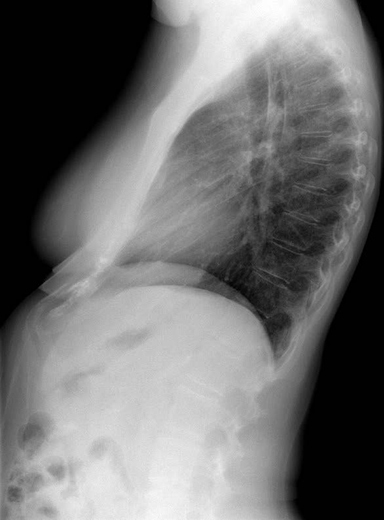 Progressive scoliosis following chest wall resection in children. Spine (Phila Pa 1976 ) 1985;10:618-622. Merchant TE, Nguyen L, Nguyen D, et al. Differential attenuation of clavicle growth after asymmetric mantle radiotherapy. Int J Radiat Oncol Biol Phys 2004;59:556-561. Murphey MD, Choi JJ, Kransdorf MJ, et al. Imaging of osteochondroma. 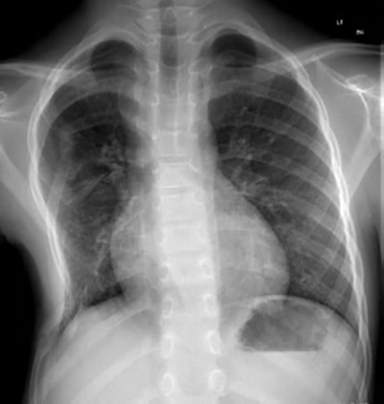 variants and complications with radiologic-pathologic correlation. 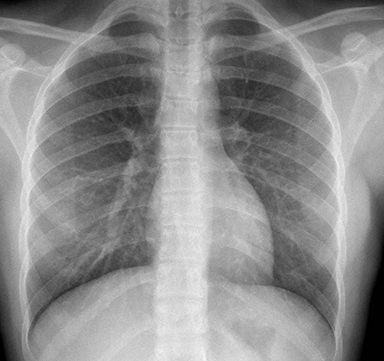 Radiographics 2000;20:1407-1434. Harper GD, cks-Mireaux , Leiper AD. Total body irradiation-induced osteochondromata. J Pediatr Orthop 1998;18:356-358. Faraci M, Bagnasco F, Corti P, et al. Osteochondroma after hematopoietic stem cell transplantation in childhood. An Italian study on behalf of the AIEOP-HS T group. Biol Blood Marrow Transplant 2009;15:1271-1276. Bordigoni P, Turello R, Clement L, et al. Osteochondroma after pediatric hematopoietic stem cell transplantation: Report of eight cases. Bone Marrow Transplant 2002;29:611-614. Danner-Koptik K, Kletzel M, Dilley KJ. Exostoses as a long-term sequela after pediatric hematopoietic progenitor cell transplantation: potential causes and increase risk of secondary malignancies from Ann & Robert H. Lurie Children's Hospital of Chicago. Biol Blood Marrow Transplant 2013;19:1267-1270. Kitsoulis P, Galani V, Stefanaki K, et al. Osteochondromas: review of the clinical, radiological and pathological features. In Vivo 2008;22:633-646. Kang MJ, Lim JS. Bone mineral density deficits in childhood cancer survivors: Pathophysiology, prevalence, screening, and management. 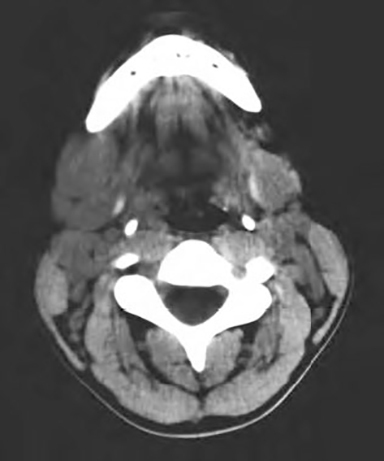 Korean J Pediatr 2013;56:60-67. Wasilewski-Masker K, Kaste SC, Hudson MM, et al. Bone mineral density deficits in survivors of childhood cancer: long-term follow-up guidelines and review of the literature. Pediatrics 2008;121:e705-e713. Kaste SC, Shidler TJ, Tong X, et al. Bone mineral density and osteonecrosis in survivors of childhood allogeneic bone marrow transplantation. Bone Marrow Transplant 2004;33:435-441. Wilson CL, Ness KK. Bone Mineral Density Deficits and Fractures in Survivors of Childhood Cancer. Curr Osteoporos Rep 2013. Kadan-Lottick NS, Dinu I, Wasilewski-Masker K, et al. Osteonecrosis in adult survivors of childhood cancer: A report from the childhood cancer survivor study. J Clin Oncol 2008;26:3038-3045. Diller L, Chow EJ, Gurney JG, et al. Chronic disease in the Childhood Cancer Survivor Study cohort: A review of published findings. J Clin Oncol 2009;27:2339-2355. Kaste SC, Karimova EJ, Neel MD. Osteonecrosis in children after therapy for malignancy. AJR Am J Roentgenol 2011;196:1011-1018. Kumar AV, Kaste SC. 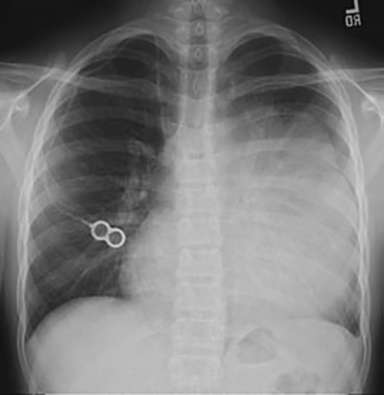 Radiographic Findings Suggesting Previous Treatment for Childhood Cancer: A Review . J Am Osteopath Coll Radiol. 2014;3(2):2-11. Aswin V. Kumar, OMS3 and Sue C. Kaste, D.O. Dr. Kumar is with Lincoln Memorial University, Harrogate, TN and the Department of Radiological Sciences, Division of Diagnostic Imaging, Memphis TN. Dr. Kaste is with the the Department of Radiological Sciences, Division of Diagnostic Imaging, Memphis TN; Oncology, St. Jude Children's Research Hospital, Memphis TN; and the Department of Radiology, University of Tennessee School of Health Sciences, Memphis, TN.